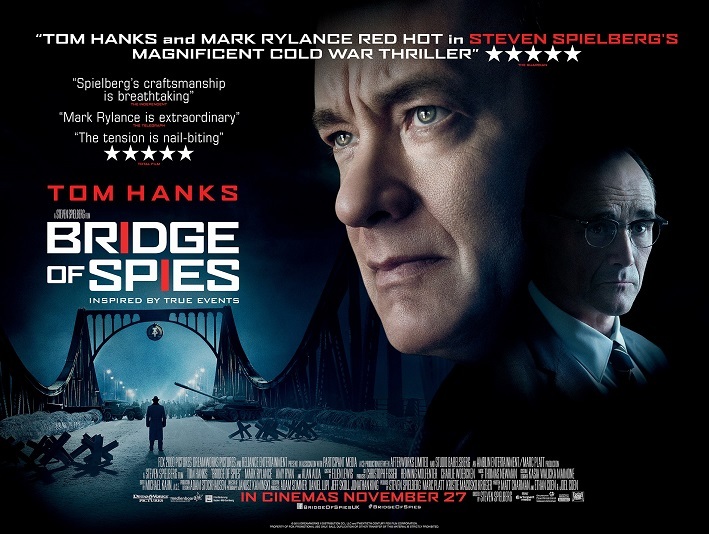 WHAT'S BRIDGE OF SPIES ABOUT? A New York attorney (Tom Hanks) is recruited to defend a Soviet spy, then to negotiate a prisoner exchange for an American POW during the Cold War. Much as he did with 2012's Lincoln, Steven Spielberg has taken a dialogue-heavy screenplay with very little action and turned it into something utterly thrilling and engrossing. It helps, of course, that said script was co-written by the often-brilliant Coen Brothers, that his film is full of actors who can pull the raw emotion of the words to the surface, and that the true story itself is fascinating. Still, in the hands of a lesser creative team, Bridge of Spies would likely be boring and/or confusing, but this group navigates the various political fears and character motivations with such dexterity that the audience is never lost or disengaged. The attention to detail in the period wardrobe and production design creates an immersive experience. The film's one set piece, a harrowing plane crash, is a show-stopper that proves Spielberg's not lost his touch with action, but it's the examination of humanity in war-time that leaves a lasting impression. 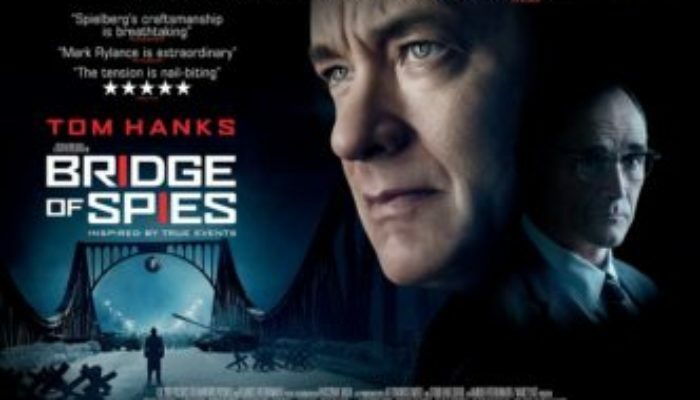 Bridge of Spies is rated PG-13. Innocent civilians are gunned down by soldiers (seen from a distance, bloodless). Characters smoke and drink. A man is briefly seen in his underwear. A prisoner of war is treated roughly, but not explicitly tortured. There are two f-words and a handful of other profanities scattered here and there. We mustn't allow fear to extinguish our commitment to fairness and humanity. The United States Constitution exists, in part, to protect individuals from abuses in the justice system. Great feats and apparent miracles can occur when we commit ourselves to level-headed diplomacy instead of violence. Everyone's perspective makes sense to them, even that of our enemies. Need more Spielberg? Revisit one of The Beard's greatest, Indiana Jones and the Last Crusade! Can I help you, your family, or your business? 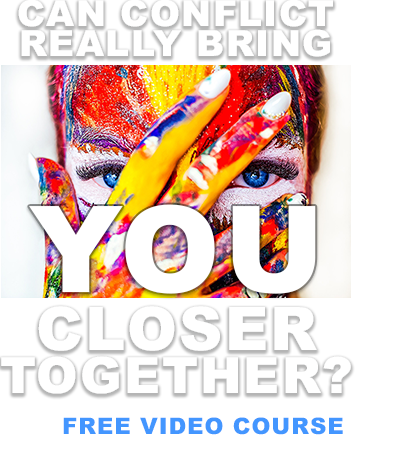 I offer couples and family therapy, conflict resolution training for businesses, inspirational speaking, and more! Contact me here.